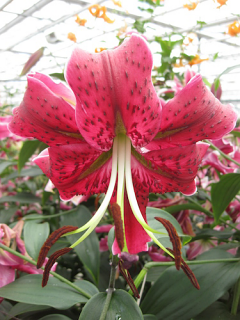 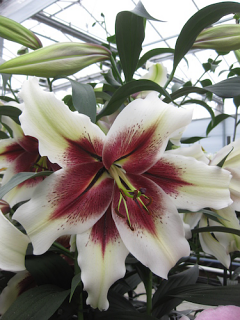 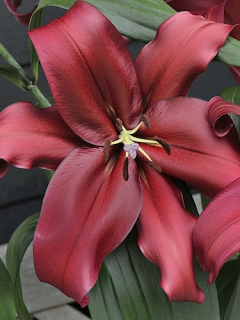 These giant Oriental Trumpet Lilies (also know as Orienpet or Tree Lilies) are a hybrid of the showy Trumpet Lily and hardy Oriental Lily. 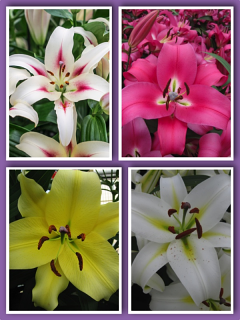 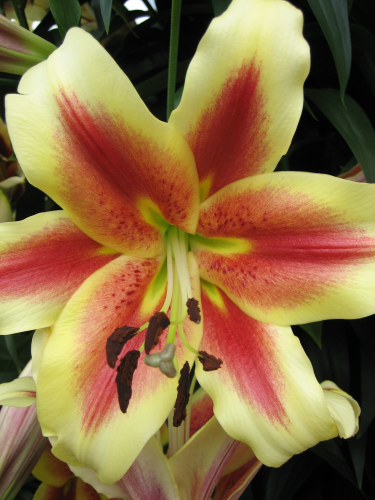 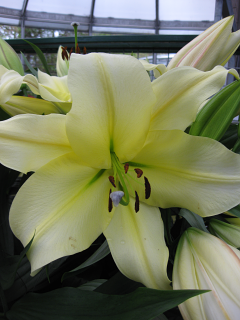 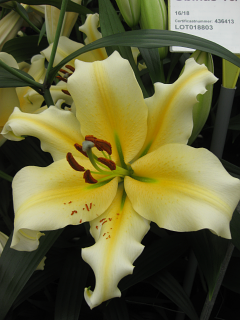 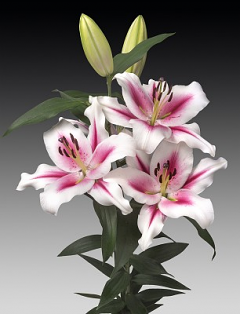 The result is a sweetly scented and stunning show of magnificent blooms which can produce up to twenty blooms per stem. 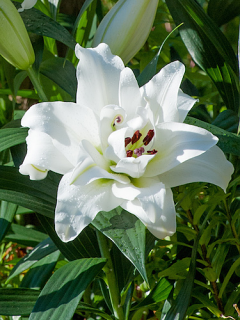 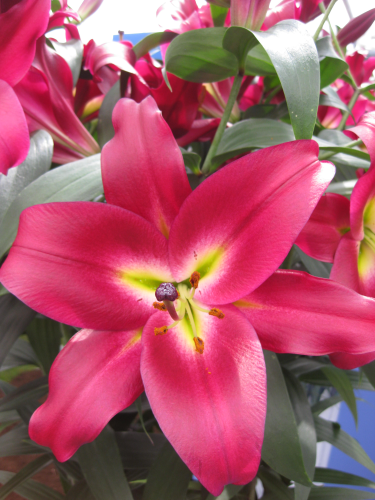 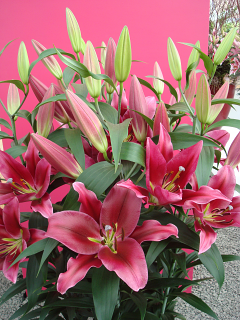 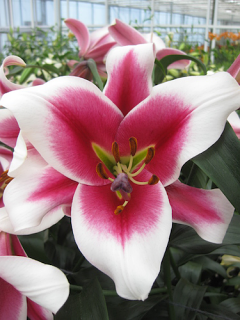 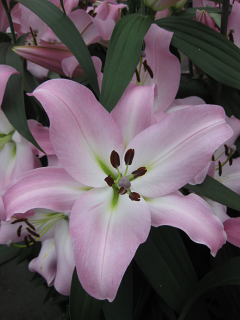 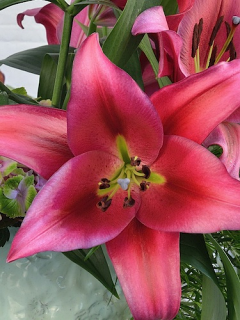 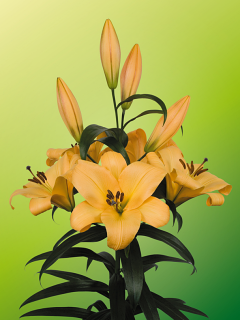 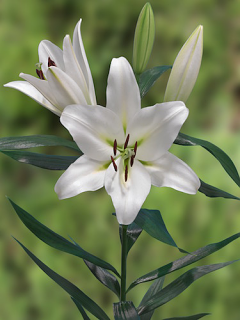 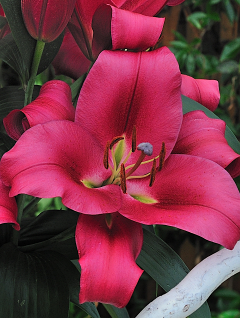 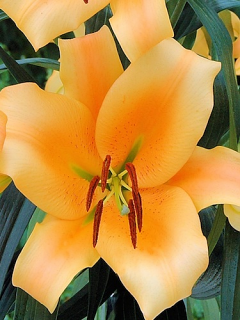 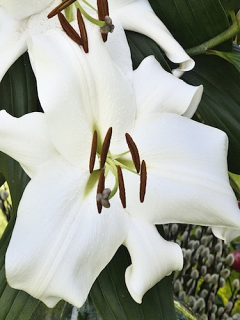 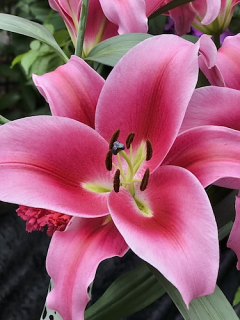 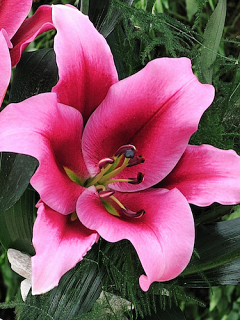 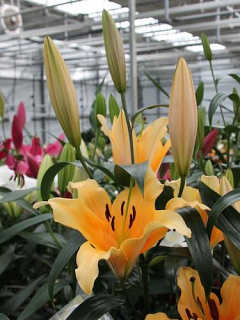 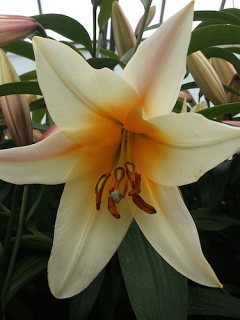 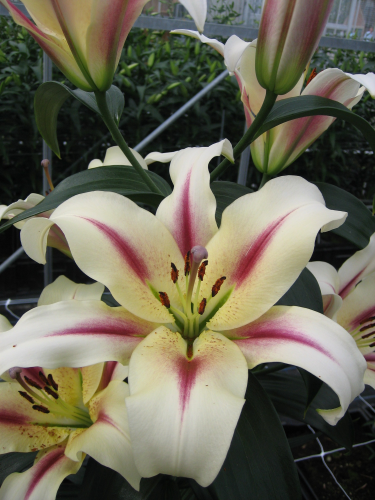 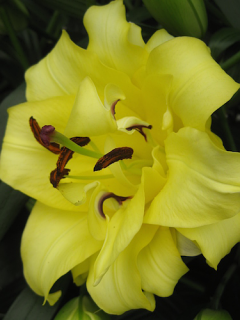 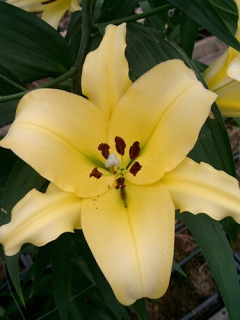 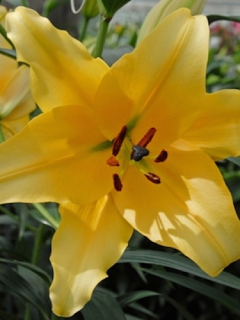 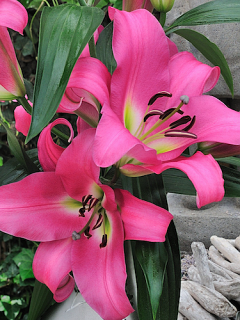 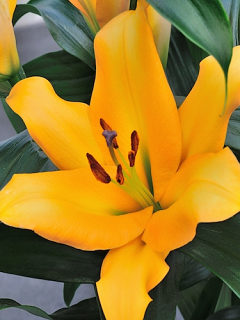 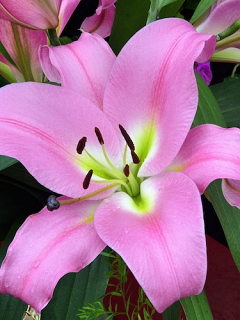 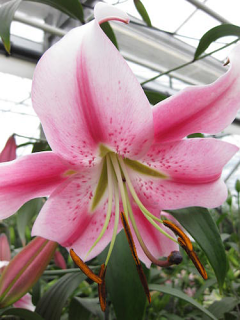 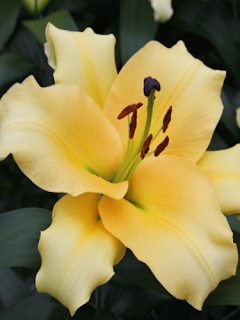 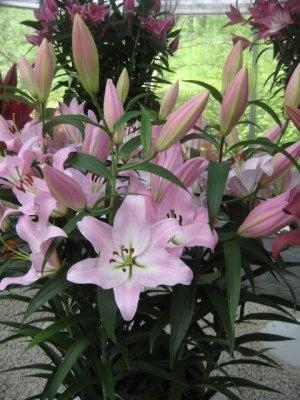 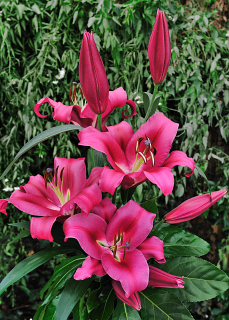 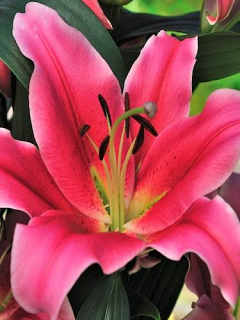 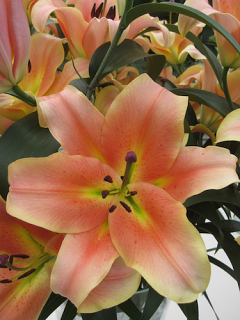 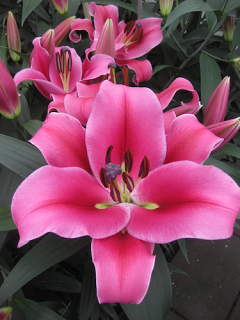 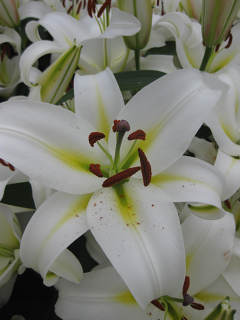 These Tree-like Lilies are very sturdy and can grow up to 8 feet. 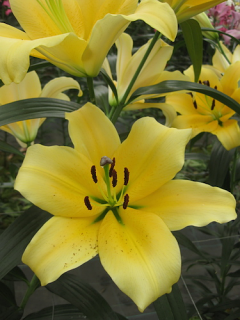 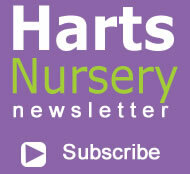 They are lime tolerant and therefore ideal for borders or containers. 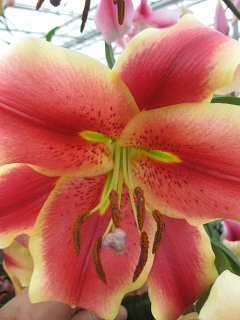 Soil must be well drained.